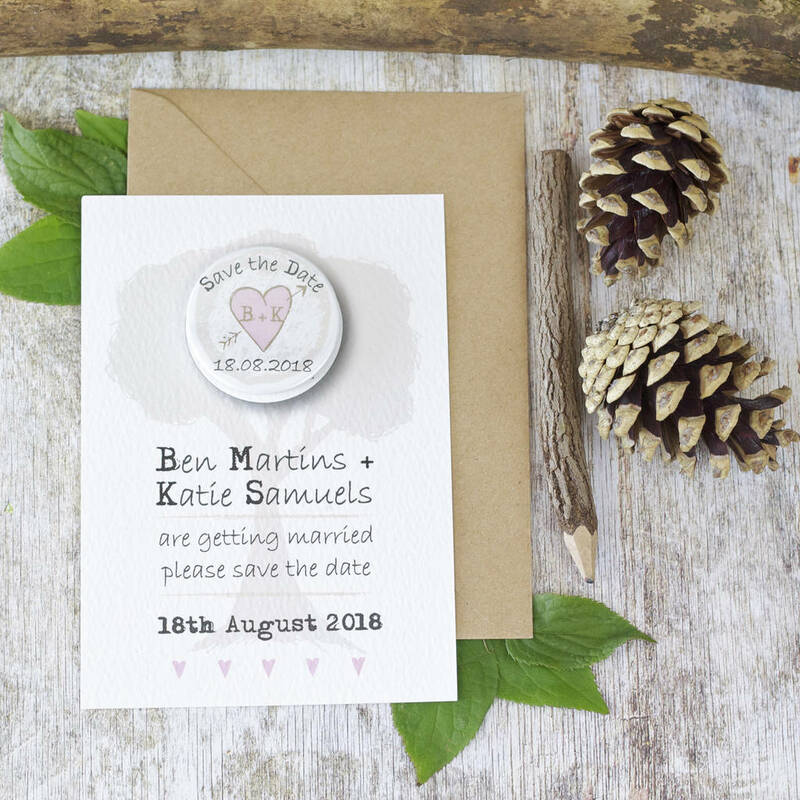 From the beautiful Woodland Hearts range, these unique Save the Dates feature a personalised mini magnet on the front. 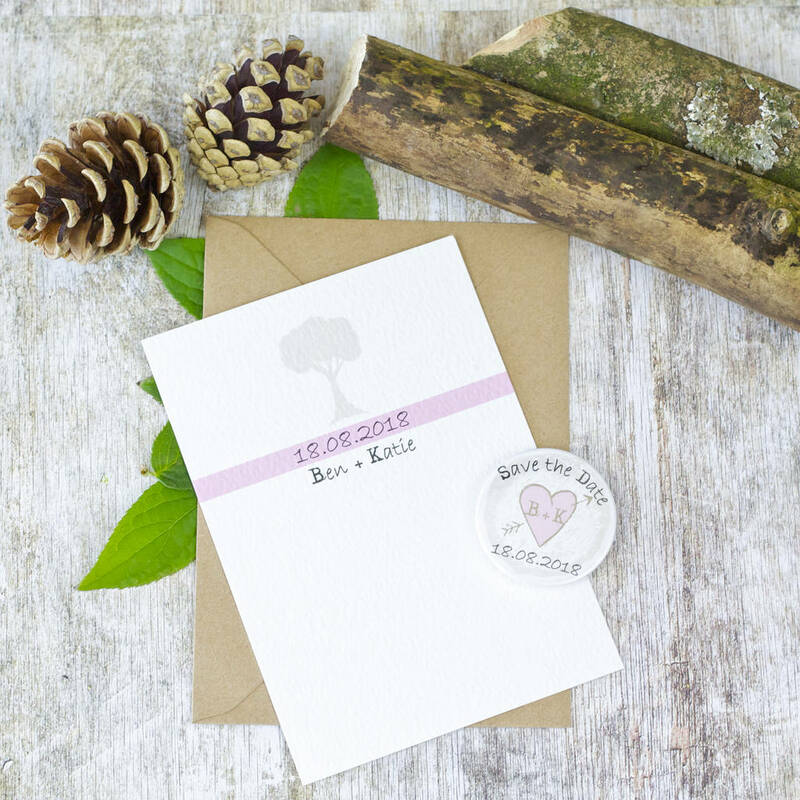 Rustic and pretty the Woodland Hearts range is printed on gorgeous textured 300gsm card. Our sample set features pale pink, but this can be changed to suit your wedding colour scheme, it looks amazing in most colours, our favourites to date are coral, red and aqua. Please enquire if you would like to see a jpeg sample before ordering in your colour scheme. Save the Dates are printed on both sides and fully personalised, the mini magnets on the front include the couples initials and wedding date. 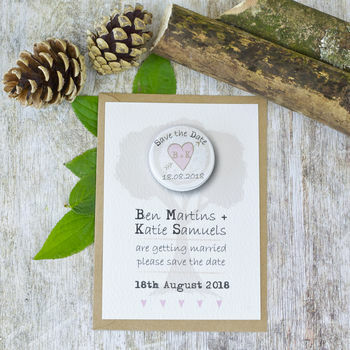 They are fun and unusual idea for your guests to put on their fridge to remind them of your very special day. All postcards include envelopes choose from brown kraft or white hammered . 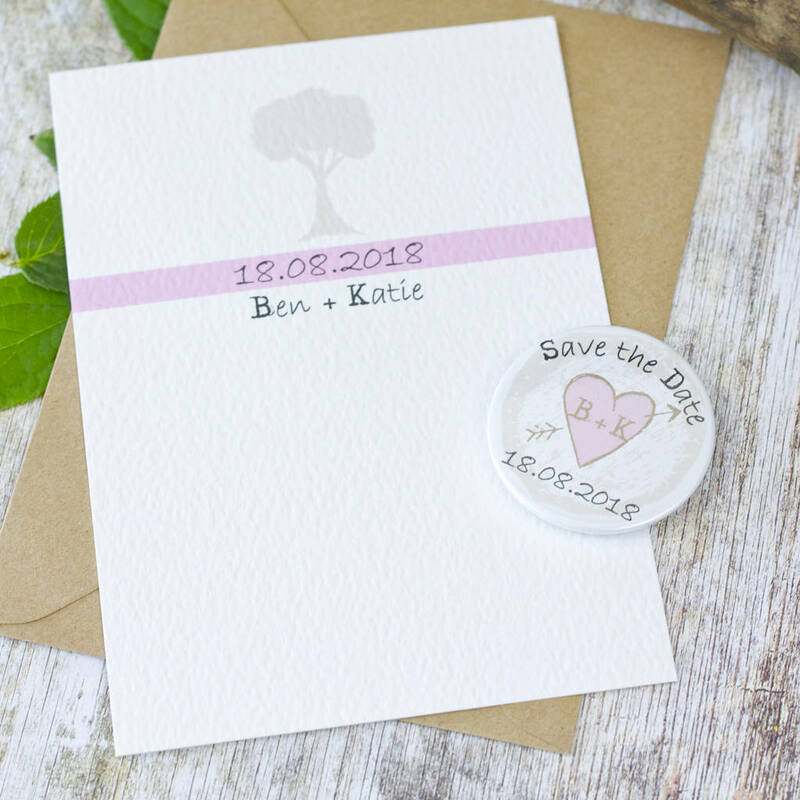 All stationery items in the Woodland Hearts range are printed on 300gsm fresco gesso. All cards and envelopes are FSC approved.